Let me dust this crazy blog off! 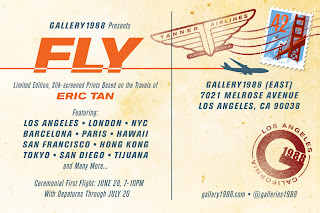 I haven't posted in forever because I've been hard at work on a solo show which debuts this June at Gallery1988 in Los Angeles. When the fine folks at the gallery approached me a few years ago for a show, I never really could fathom committing to one because: A) my day job saps up too much creative energy (in a good way) rendering me sleepy after 6pm, and B) I just didn't have any exciting ideas that I could sustain over a series of pieces. Over the past few years, I've been fortunate enough to travel to a number of cool places around the globe. I would always have my sketchbook in hand to capture what I saw and write down funny observations I noticed about each place that was uniquely theirs. Whether it be some food everyone went crazy over, or an iconic something that everyone took pictures of, I'd either jot it down or do some weird sketch of what I witnessed. A few years ago, at one of Gallery1988's Crazy4Cult shows I had created a 'travel poster' based on my favorite movie of all time 'Back to the Future'. I've also gotten to create travels posters at Disney for films like Up and Cars - and for characters like Mickey, Minnie, Donald, and the rest of the gang. 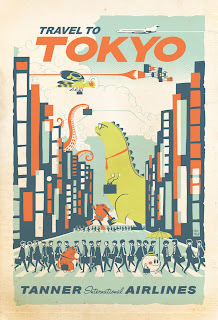 The graphic designer in me loves the structure and typography of these types of posters and the illustrator in me loves drawing each element within them. When it came to coming up with an idea that could work as a series for a solo show, my travel sketchbooks and all the travel posters I had created for other things came to mind. Instead of creating film-inspired posters, like the Back to the Future one, I decided to use the actual cities I visited. Cities new to me like Hong Kong, Paris, Barcelona, and London - and ones that were very familiar to me like Los Angeles, San Francisco, New York, and San Diego. Hopefully everyone who either lives in these cities or has visited them will relate to the humor i tried to convey with each one. 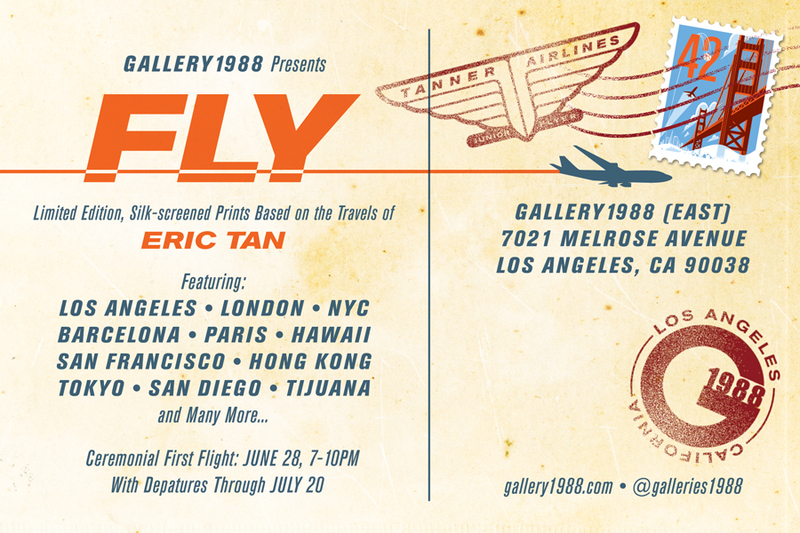 The show starts June 28th at Gallery1988 East in Los Angeles and runs through July 20th. I hope to see you there!